This year I happened to get quite a bit of Christmas shopping done in November, I was quite impressed with myself for being so organised! But with it being December now it's time for it to step up a notch. Especially as it's now 2 weeks away! It comes round so fast and then it's over in a flash... Christ I sound old! And I don't know about you but each year there seems to be more and more people to buy for. I like to make sure I buy something that will mean something and also be practical, when I was younger a novelty gift would have done but now I'm aware stuff like that gets thrown to the back of a drawer and forgotten about. This is where getting personal has come in incredibly handy. There's gifts for every member of the family and you are bound to find something for each of them. The best part is there's the option to personalise the gifts too. So something that would already be a great present is now made extra special with no extra cost. I was lucky enough to be given the chance to pick a few products to review. It was a tough choice as there are so many gorgeous products! 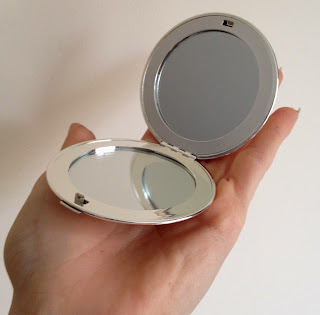 This little compact mirror is great for a friend, Mum, Grandma, Auntie, niece... anyone who carries a handbag around really. It has one normal mirror and another which magnifies. And as the name of the website might suggest, it also comes personalised! There's space for 4 lines of 20 characters so plenty of room to write what you like. I love the little hearts on top, that's a nice touch. The quote I chose is a little tongue-in-cheek phrase that I already have printed on a big mirror in my room. It was a gift hinting at the fat that I constantly check myself in reflections of things! -everybody does it! You could engrave a nickname, a little quote or a message wishing them a Merry Christmas! 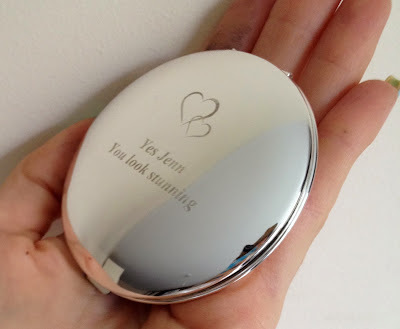 They have a range of different compact mirrors starting from as little as £8.99 up to £19.99. I think it's a great little stocking filler and a great Secret Santa present! I felt I needed to choose something Christmassy, 'tis the season after all. I couldn't miss the range of Christmas Sacks they have. The design I preferred was the postal sack, available in a few different designs but there are also more traditional red Santa sacks too which of course can also be personalised. It's Masons 2nd Christmas but he was only 4 months old last year so didn't really take anything in. He's still a bit young to understand the whole Christmas thing so we'll be going all-out next year but for now the Christmas magic is more for us. I thought this Christmas sack was so lovely and he'll keep it forever. It adds to the excitement and the magic that Santa has really been. 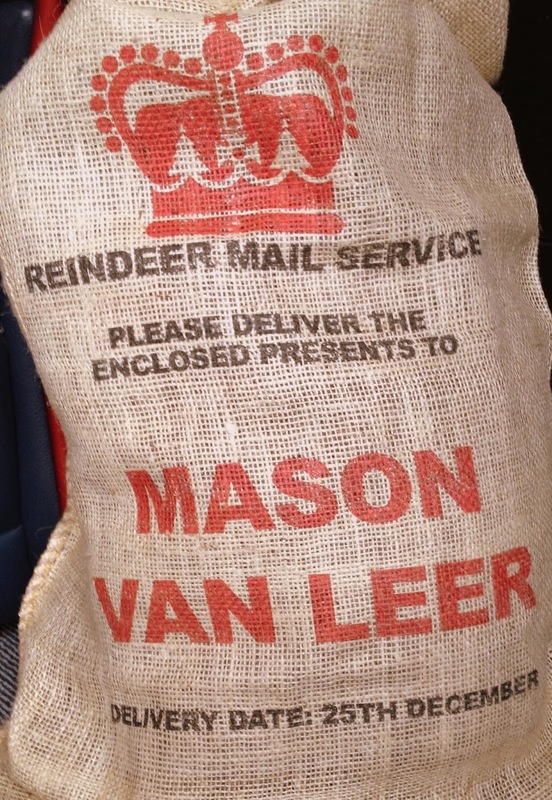 That he has a whole sleigh of sacks all labled and this is the one for you.. 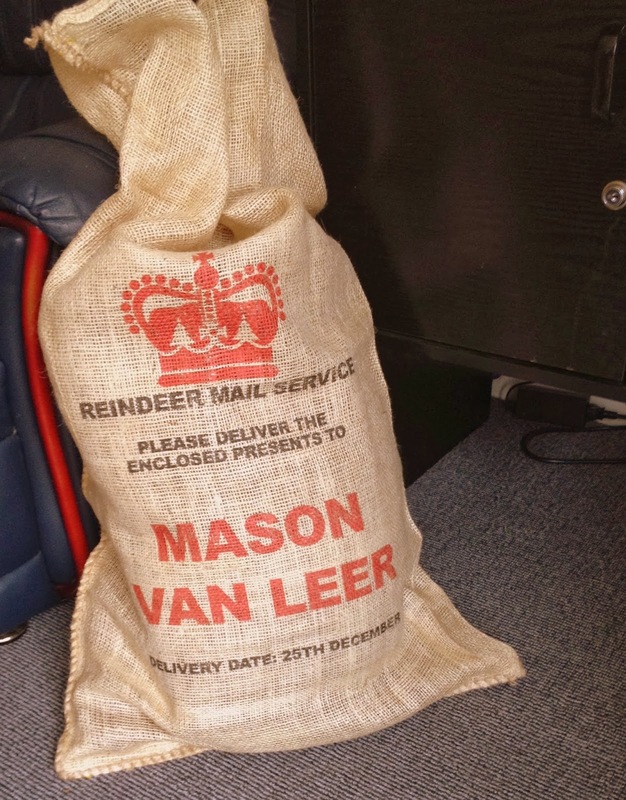 There's proof it's from him and his reindeer! There's 12 characters for the first name and 12 for the surname which is plenty of space. It is a hessain sack so it's a natural product as well as being durable so it will really last. The writing is meant to look a bit weathered, so it just adds to the rustic look as though the sack has spent a long night travelling around the world on a sleigh! I was impressed by how big it is, there's room to fit loads of presents in and I know Mason will have a great time rummaging through it for years to come! For £19.99 its really an investment and is so much more exciting than a plain sack. Being the true blogger that I am I had to chose a note book as my last product to try out. I love my stationary! This little A5 journal is a great gift for anyone really. 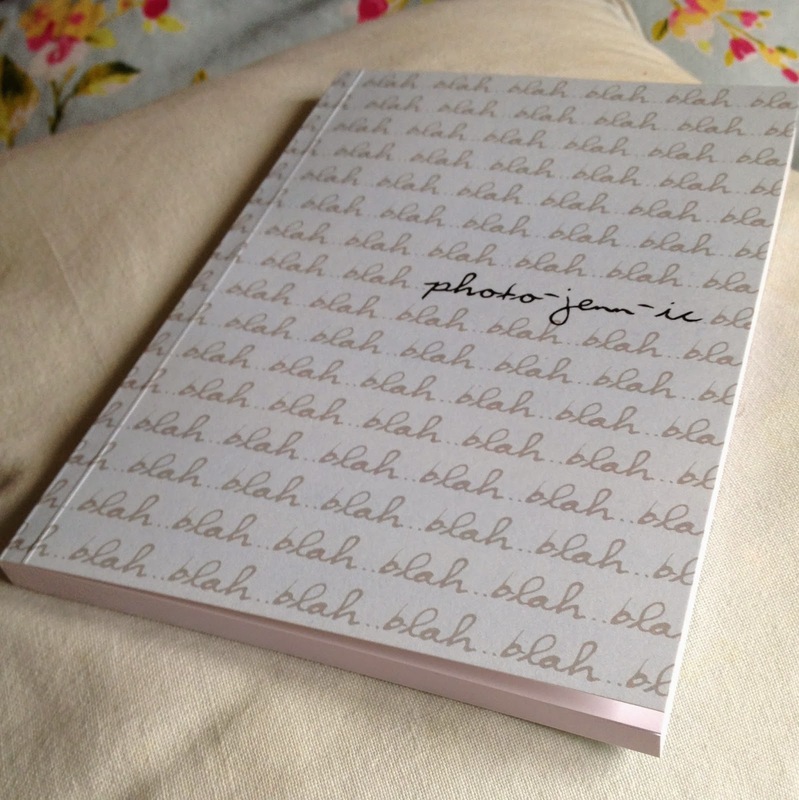 There are so many different designs to choose from but I went for this one as I find a lot of what I write down is a load of notes that only make sense to me, so the 'blah blah blah' theme was perfect! I chose pale blue but it comes in pink too. I always need a notebook for moments of inspiration and on long train journeys I often jot down my thoughts or do a bit of drawing. Anyone who uses a notebook or journal is bound to love one of these, it's got 80 plain pages inside so it works for writers as well as budding artists. 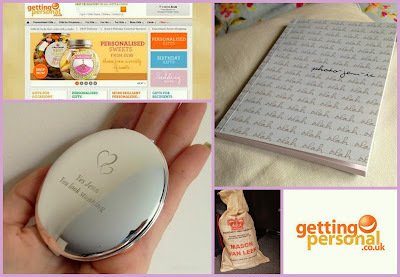 The personal touch shows you have put in a lot more thought than just buying a plain notebook. There is space for 18 characters to add what ever name you like. The price is really good too, £8.99 isn't far off what you'd pay for something that isn't personalised. I was really impressed with how quickly all these gifts arrived. They were on my doorstep within 3 days so if you're stuck for a last minute gift you've got time to order something. I really think you can find something for everyone! Aww...just what I was looking for...thanks Jenn! I love the santa sacks! Great find! Heading over to their site now!